In the next financial period of the EU from 2014 to 2020, Austria´s contribution will increase substantially. Austria calls for keeping the discount system. Austria´s net contribution to the EU would increase by € 70m per year if the current discount was abolished. This figure was not confirmed. 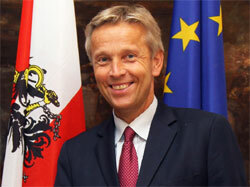 Austria´s State Secretary of Foreign Affairs Reinhold Lopatka commented that it would not be acceptable that Austria would be treated less favorably.